#TapIntoElgin this maple syrup season and experience a quintessential Canadian activity that heralds the beginning of spring in our country. Learn from local maple connoisseurs about the various historical methods of producing maple syrup. While you’re visiting, tour an old-fashion sugar shanty, taste sweet and delicious syrup samples, ride on a horse drawn wagon or purchase maple products to savour long after your maple adventure! Use the hashtag #TapIntoElgin when you're in the area this maple syrup season. 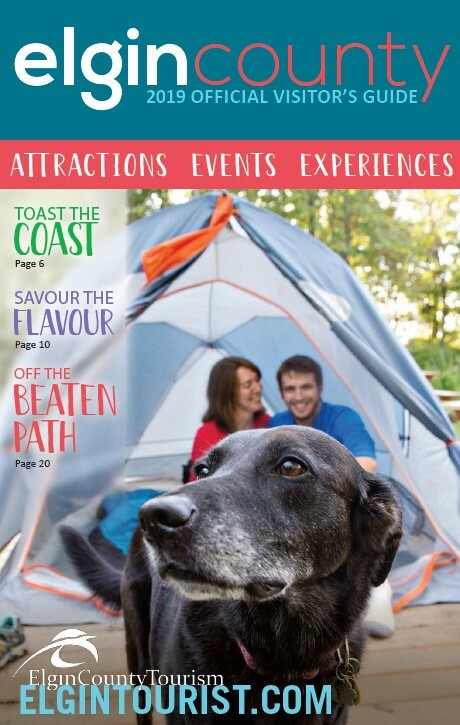 View our Elgin County Maple Trail brochure by clicking here. Proudly family owned and operated since 1956, Palmer's Maple Syrup has been producing Premium Ontario Maple Syrup. Visit us in March for our annual maple syrup shanty events and breakfasts. Located 3km west of Port Stanley. Rodgers Maple Syrup produces high quality maple syrup, fudge, and maple butter. Drop by and purchase our maple syrup anytime! Call for a tour of our sugar shack in operation during the maple syrup season. Visit our sugar shanty to purchase our maple products and to dine-in at our pancake house. Located southeast of Stratfordville, we are a family owned & operated maple sugar bush for more than 40 years! Visitors are welcomed to visit us during the maple syrup season. Palmer's Maple Syrup is a great place for the family to enjoy a shanty tour, self-guided woods excursions, pioneer storyteller, log-sawing, and maple leaf branding! Enjoy wagon rides throughout the forest! Tour the old-fashioned sugar shanty for demonstrations on syrup production. Maple products are available for sale! Dine at our pancake house operated by local community organizations. It is said that some 120,000 swans make their way from the Chesapeake Bay on the boarder of Maryland and Virginia, USA to the breeding grounds of Alaska and Baffin Island. In the month of March, visit the Aylmer Wildlife Management Area (AWMA) to see the Tundra Swans as they embark on their spring migration. At peak time, normally in late March, some 3,000 birds are known to land at the AWMA. With four wildlife viewing stands and plenty of parking, partake in viewing these beautiful birds that will take your breath away. A Tundra Swan Line has been created to update those eager to see a bank of swans (a group of swans). Call 519-773-7926 (SSE-SWAN) for updates on the number of swans counted daily or to learn more.